Credit Score Requirement: A 620 credit score is required or a true no score, meaning absolutely no credit, with three alternative credit trade lines. However, JustChoice Lending works with applicants to help them raise their credit scores to acceptable levels. Veteran Administration Loans, also known as VA Loans, are guaranteed by the U.S. Department of Veterans Affairs. They are available to eligible veterans to purchase homes for their own personal occupancy. It is possible to obtain a VA Loan with no money down. VA Loans can be used to buy a home (including a townhouse or condominium unit in a VA-approved project), to build a home, to purchase an existing home, to improve an existing home with energy efficient features, or to buy a manufactured home (must be at least 24-ft wide) and/or a lot. Veterans applying for a VA Loan have several requirements to qualify. If they served during wartime, they must have been on active duty for at least 90 consecutive days. Those who served during peacetime must have served a minimum of 181 days. Veterans of the National Guard or Reserves must have served for at least six years. Spouses of veterans who have passed away may also be eligible. The service person must have passed away in the line of duty or as the result of a service-related disability. A Certificate of Eligibility is also required. Depending on the amount of available information, the application may be able to be performed electronically. JCL can help you to determine the route to take and walk you through the steps of obtaining the certificate. 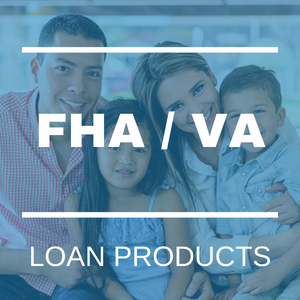 Federal Housing Administration Loans, also known as FHA Loans, are backed and insured by the Federal Housing Administration. While there are several types, the FHA 203(b) is by far the most popular. We are proud to offer the FHA 203(b) to purchase a new or existing home as well as to refinance debt. FHA Loans can have down payments as little as 3.5 percent with assistance available under certain circumstances. Contact JustChoice Lending today to learn more about VA and FHA Home Loans by calling 866-367-0855. Other eligibility requirements may apply. Please contact JustChoice Lending for full list of requirements.